Anime fans were shocked to learn that Dragon Ball Super is ending, as the series seems to be at an all-time high right now. However, the fact is that DBS is coming to an end, and we don't yet have any announced plans for the next Dragon Ball series. Of course, we know that there will be a new Dragon Ball series - we've even pitched some great ideas for what it should be. However, one thing we didn't mention was a series that might be the most obvious choice of all. Here's why Dragon Ball needs to learn from the example of the Naruto franchise, and all of its success with Boruto! I just did a whole piece breaking down why Gohan needs to a major hero in the next Dragon Ball series, and that same train of logic is what leads me to say that Dragon Ball would greatly benefit from a "Next Generation" installment of the franchise, just like Naruto entered a new phase with the release of Boruto: Naruto Next Generations last year. 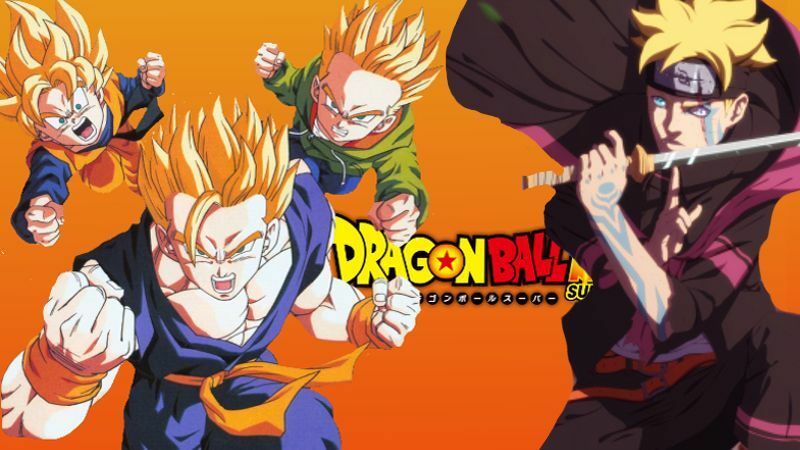 One the questions we recently asked is this: What was the point of Dragon Ball Z and Dragon Ball Super investing so much time in characters like Gohan, Trunks, and Goten, only to have it go nowhere in the larger arc of the franchise? At this point, it's much stranger that Dragon Ball hasn't moved along to the new generation of characters that the series has so clearly beem setting up for some time. The entire process of Dragon Ball Super powering up Goku and Vegeta to some massive new levels seems to have been overly indulgent, at the expensive of the logical and organic narrative flow. In a lot of ways, it would be best for everyone if DBS served as the ultimate finale of the "Goku and Vegeta" saga and truly handed the reigns to the new generation of characters, with the intent of attract an entire new generation of viewers. Boruto doesn't just work as a continuation of Naruto - it has allowed an entire new generation of fans to jump onboard the story, with a flavor and tone that better appeals to the modern tastes. Now it's Dragon Ball's turn. Keeping things real: DBS was basically just a continuation of DBZ, with better animation. It didn't really establish a new aesthetic or tone - certainly nothing that skewed toward the current youth culture. However, a Dragon Ball series that made an adult Gohan and teenage Goten and Trunks the central characters, would inevitably have to also incorporate themes of modern youth culture and parenting concerns. Longtime fans get a show that's "new" enough, but still very familiar. New fans have a brand new playing field to enter, one that constantly references the past without overwhelming the current mythos. The great thing about refocusing the next Dragon Ball series on the younger generation of characters, is that the past will never truly be dead - it will still hang in the wings, able to be referenced or brought back to the forefront at any given moment. Imagine Goku as some universal divine warrior (based on the outcome of the Tournament of Power), or permanent resident of of King Kai's world again - only popping up now and again in major storylines as a special event cameo! It would essentially be the same for the likes of Vegeta, Piccolo, or any of the older Z-Fighters, just like Naruto and Co. appear in Boruto as supporting players, still able to hold the spotlight without eclipsing the kids. More to the point: Boruto doesn't ignore the series that preceded it. In fact, a lot of the initial mystery and darkness of this new installment comes from the aftermath of Naruto events, as old foes plot to reclaim lost power, or settle old vendettas. For Dragon Ball, this same potential is much greater, and more exciting. From callbacks to the Cell Saga (new Androids like 21, or Dr. Gero), to villains that stem as far back as the original Dragon Ball series, DB: TNG could easily be both something novel and new, and a wish-list of hypothetical events that fans have been discussing for years. That's my argument for why Dragon Ball: Net Generations needs to happen. How do you feel about the idea? Let us know in the comments!